PBGS: Forum Box Office now open! 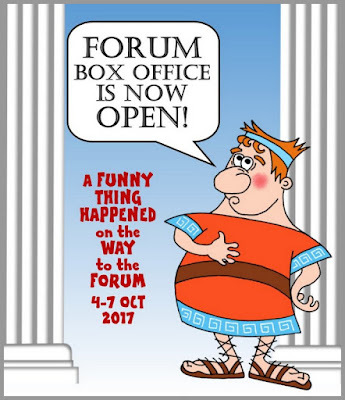 Forum Box Office now open! The Box Office is now open for our fabulous production of A Funny Thing Happened on the Way to the Forum. Forum is a madcap, hilarious romp by Stephen Sondheim and is pure Roman farce, made into a successful film in 1966 staring Zero Mostel as the Roman slave Pseodolos - "the lyingest, cheatingest, sloppiest slave in all of Rome". 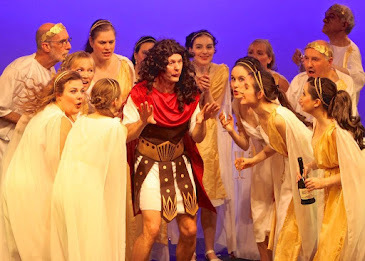 Sondheim’s uproarious tribute to ancient Roman theatre and classic vaudeville follows crafty slave Pseudolus as he seeks to win his freedom by helping his hapless master woo the virgin courtesan next door who has, unfortunately, been promised to another suitor. 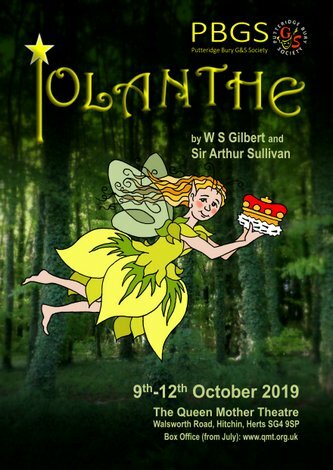 Book your tickets now direct from The Queen Mother Theatre, Hitchin by clicking wherever you see our BUY button.